This is probably no weirder than your average observatory admittedly, but when you see the location of the Sphinx Observatory you fully understand what makes it special. 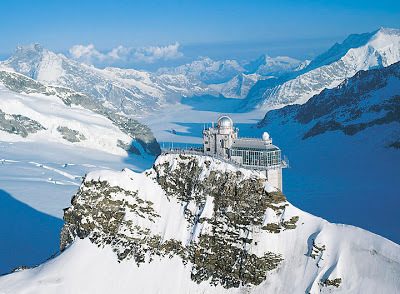 It is perched over 3,500 meters above sea level and so is one of the highest permanent structures of its type in the world. And perhaps the best thing of all – it’s fully open to the public which means you don’t have to study half your life and become an astronomer to enjoy what is frankly the most stunning view you’ll ever come across. Some say it totally ruins the landscape of the surrounding area and others argue it’s a blessing to the region – whichever way you look at it Evolver in Zermatt is weird, weird, weird! 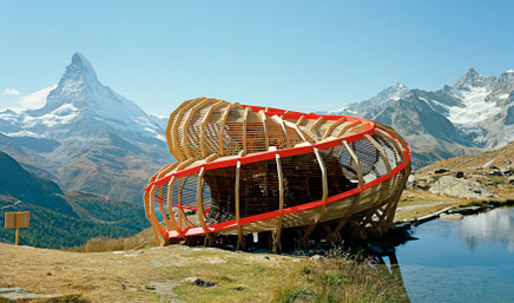 The gorgeous spot next to an icy-clear alpine lake, Evolver certainly offers some great views, but the twisty woody contraption itself is actually what most folk end up staring at rather than the view itself! 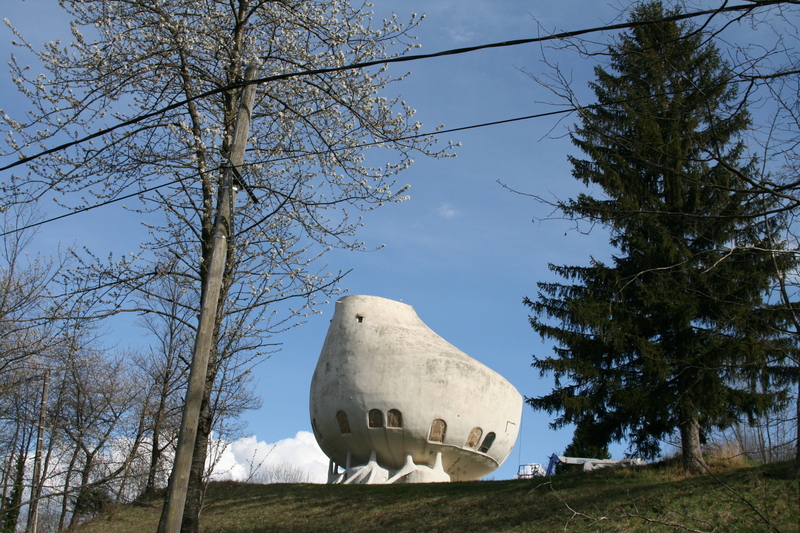 Yes we know – Weird House is shaped very much like a hospital bedpan and a pretty similar colour too! It’s often ranked in and amongst the strangest buildings on the face of the Earth, but it was actually designed to be a fully liveable residence with all necessary amenities. Located near Chambery, it’s definitely worth a journey to for a few photos you’ll be glad you took. It’s always great to say you’ve been somewhere that’s got such a wonderfully creative name as this… don’t you agree? 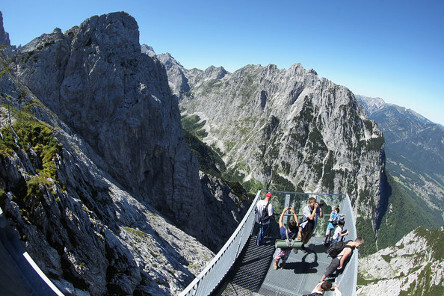 The name kind of gives it away this is a brand-new viewing platform located in the Garmisch-Partenkirchen region and perched a full 1,000+ meters above the ground below. The design of the platform is really as simple as it gets…just a basic ‘X’…but the views are unlike anything you’ve ever seen before and you need a surprisingly solid head for heights to stomach the stroll to the end. Just be warned that as this has only just opened to the public, it has a habit of getting extremely busy during peak times. 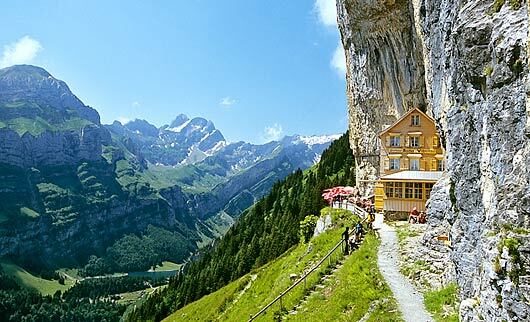 And last on the list though in no particular order comes Berggasthaus Aescher – a place you won’t believe is actually real until you chow-down on a nice lunch there. It’s only possible to get there by cable car and with a bit of a hike, that’s assuming the weather makes it possible at all. But those who make the effort will be richly rewarded with views that are simply astonishing, a building unlike any other anywhere in the world and some pretty excellent food and lodgings too!